So yesterday’s beta patch raised the level cap, AND today I dinged 90! Flight in Pandaria costs 2500 gold. NPC’s for the Craftsmen, Elders, Golden Lotus, and the Brewmasters are there. But they don’t have any quests yet. 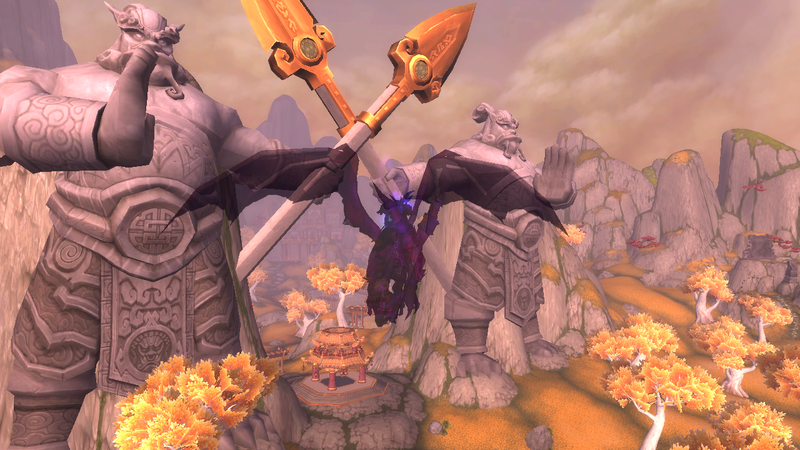 The “Shrine of Two Moons” is the Horde capital city in Vale of Eternal Blossoms. Pet Battles are on right now. But only if you bought the training previously. You can’t buy training right now. And I’m not sure how long this will last.